Wenshan Mine - Yunnan Province. 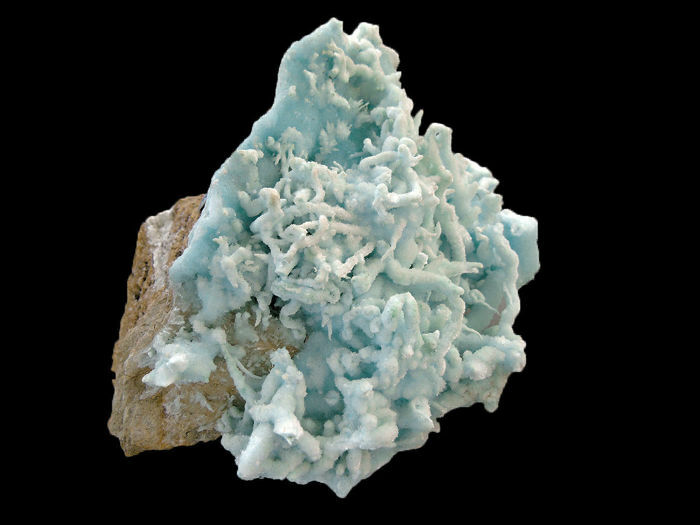 Beautiful light blue Aragonite specimen on light brown rock matrix. 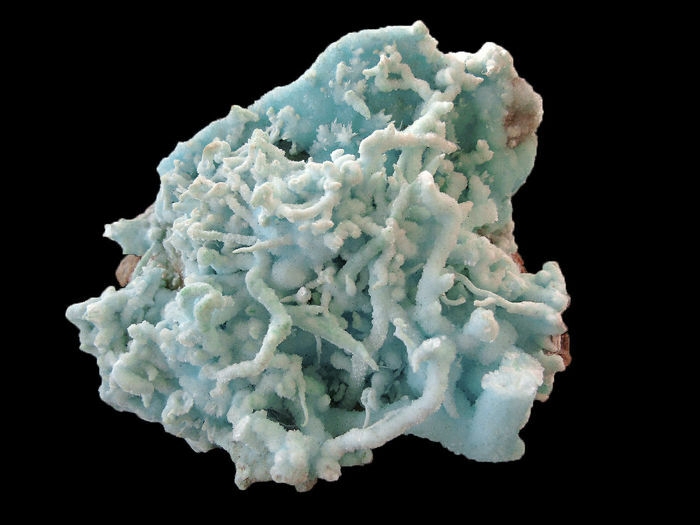 The massive aragonite layer thickness is 1.5 to 2.5 cm. 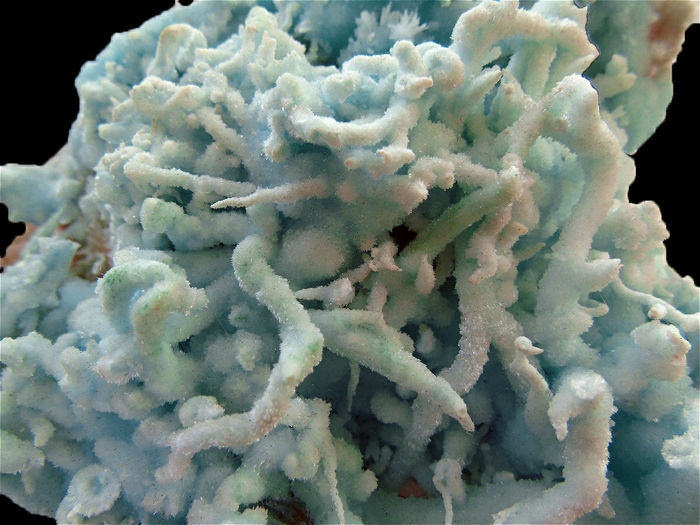 This is surmounted by a beautiful and dense coral formation especially beautiful and aesthetic. 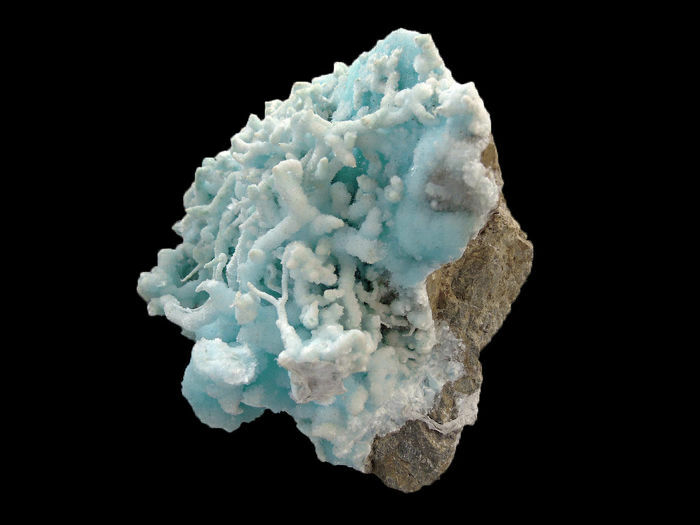 The Aragonite lower part is more blue than the coral part. The latter has a very uniform colour with beautiful well crystallized formations.